How much do you rely on your smartphone to make life easier for you every day? Or maybe you can’t live without your laptop? Tech enhances our lives in so many ways (it can even see a little scary sometimes) but we’d never be without it again. Here are 5 major ways that tech has made out lives so much easier…. Pretty much every supermarket that you shop in, as well as many coffee shops and fast food outlets, offer you the option to pay using a self-service checkout. But Amazon has gone one step further to create complete self-service shops! These Amazon Go shops will be completely staffless and without a checkout process. Instead, customers will pay for the goods they have selected via an app! Remember the days when viewing the latest blockbuster meant a trip to the cinema or the video shop? Not anymore. Platforms such as Netflix and Amazon Prime mean that you can enjoy the latest entertainment without lifting a finger – and TV sets with voice recognition mean you literally don’t have to move to change the channel! It’s not just films and TV either; you can buy the latest music, play games with friends and keep up with family all without leaving the house. Nowadays you can get dinner from your favourite restaurant delivered directly to your door with just a few taps on your smartphone. Whilst dodgy takeaways have been around for ages, apps like Deliveroo and Just Eat mean you can have delicious restaurant quality food without going out. This is super handy when you’re feeling lazy (or hungover!). Back in the day, doing the ‘big shop’ was a weekly event that took up a whole evening. Now, you can order it all online whilst you watch Eastenders and have it delivered in a specific time slot the following day. We wouldn’t swap this incredibly convenient way to shop, even when the supermarket ends up substituting your favourite foods for something a bit strange. All of the big nationwide supermarkets now offer free delivery when you spend over a certain amount, so there’s really nothing not to like about it. We live our lives at such a hectic pace nowadays that it’s hard to find the time to hang out with friends and family. Luckily, smartphones and social media have made it easy to keep up to date with everyone, and there are so many methods to choose from, such as text, email, Whatsapp, Facebook, Instagram, Snapchat… the list is almost endless. And we can keep up with loads of people at once thanks to group chats – a brilliant way to keep in the loop with all the different gangs of people that are important to you. Social media can even remind us of birthdays and other special anniversaries, and you can send a card or a bunch of flowers via the internet. Easy! Are you a big technology fan? Would you like to experience the latest time-saving innovations and incredible gadgets before anyone else? Sign up for market research today and get paid to give your views on all the latest tech. Buying birthday gifts for friends and relatives should be a fun experience, but if you’re strapped for cash it can end up feeling a little bit stressful. However, rather than copping out with something small, there are some great thrifty gift ideas out there which are not only unique but won’t batter your purse too hard. And, if you want to make extra cash, you can always earn money doing surveys, focus groups, accompanied shops, and more with Angelfish! We’ve all tried making something at one time or another and invariably the results leave a lot to be desired! However, if you think outside the box a bit, you can come up trumps. 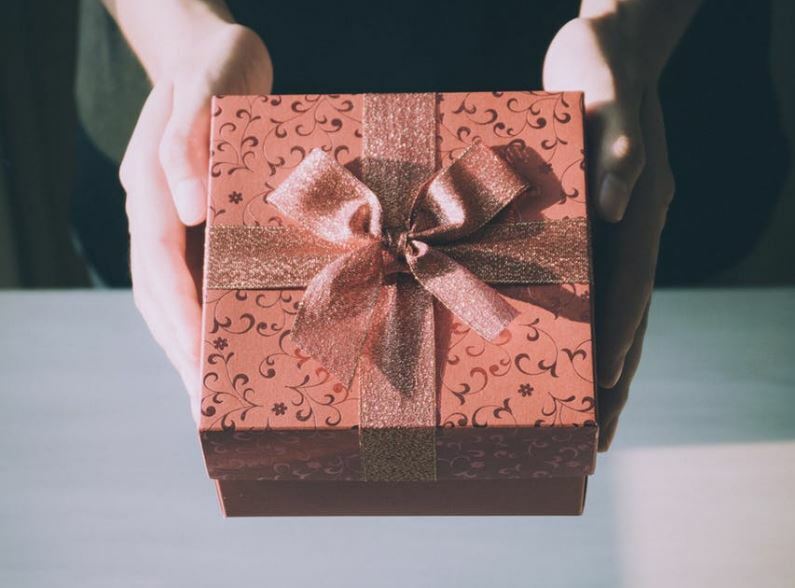 A gift hamper is an easy way to create a unique and thoughtful present without breaking the bank – you just need to be selective about what you choose. Some delicious chocolate and some fancy toiletries look incredible when properly wrapped and presented, or a selection of cheeses and chutneys for those with a more savoury tooth. If you’ve got an abundance of fruit and veg in the garden you can make a wonderful fresh basket of goodies – all you have to do is find something nice to display them in. Check out A Thrifty Missus blog for more ideas on great, homemade hampers. Home baking and cooking is incredibly popular nowadays and you can make a sweet and thoughtful present without too much expense and effort. Whatever your cooking skill level, you will be able to knock up some tasty cupcakes or brownies, and if you wrap them beautifully, they will make a wonderfully presented gift. You can tailor your baking or cooking to whoever you’re making them for, for example, if they’re vegetarian or vegan, making it an even more personal gift. Gone are the days when charity shops were the preserve of elderly ladies: you can pick up some incredible bargains if you put in a bit of effort. Whilst you could get your hands on some amazing vintage clothes, there is much more to be found in the shape of unique pieces of furniture, pottery, art, and antique books, usually at a rock bottom price. The high street shops are full of mass-produced things, but a charity shop is the place to find some rare and special (and cheap!). Spending quality time with someone special is much better than just handing them a gift, so why not plan a special outing? Have a careful think about what someone will enjoy, perhaps a film, a museum or a day out in the countryside and make a whole day of it with a picnic. If you’re really at the bottom of your bank account, look out for great free events in your area, or earn money doing surveys, focus groups, online communities, and more! We have lots of market research projects all the time, so take a look at our current projects. Whilst cassettes might be a thing of the past, the idea of making a compilation of songs for someone special definitely isn’t. Most people have still got a CD player or, if they’re super up to date, you could put it on a USB or make them a Spotify playlist. A compilation is a very personal gift and you can make a list of songs that mean something to you both, whether it’s romantic smoochy songs or some banging tunes that you have danced the night away to. It’s easy to do, super cheap and will be a huge hit – trust us on this one! Do any of these ideas take your fancy? We guarantee whoever you’re giving them to will be more pleased to receive something thoughtful and personal than something flashy and expensive. If you still need a little cash injection, you can earn money doing surveys, focus groups, and other fun market research studies by signing up to our panel today!